Yay! It's a Monday Night Flash Giveaway! Who wants to win a diamond candle? It's so easy to win! Only a few simple entries to complete! 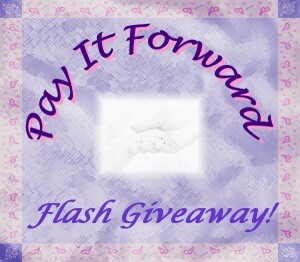 Please be sure to thank The Pay It Forward Flash Giveaway Crew. So who wants to win a diamond candle? Enter on the Rafflecopter Below and GOOD LUCK ALL! i love to have grape or monkey farts! !